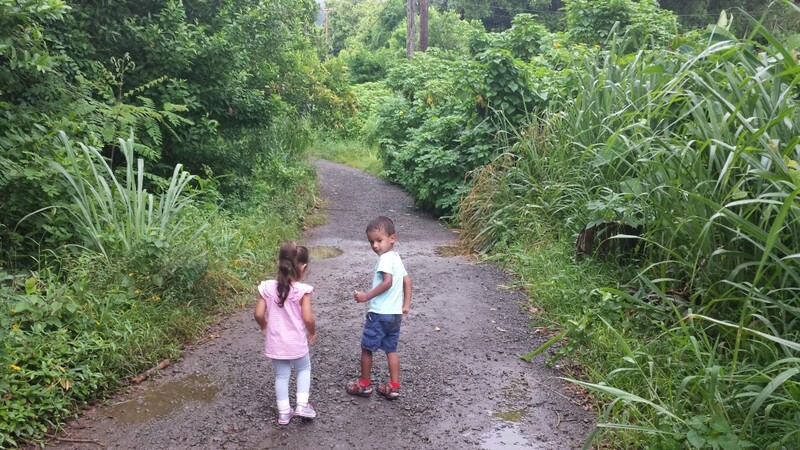 The hike consists of 3.2-3.6 miles (round trip) of well-maintained mostly-gravel trail on land owned by the Board of Water Supply in the back of Kahalu’u. ugg australia The trailhead is really just the gravel road leading to a flash flood station and various other buildings owned & maintained by the Board of Water Supply. A bubbling tinkling stream of cool mountain water is first on the right of the road and then crosses to the left side underneath a small bridge . All along the trail are wild orchids, haleconia (Heliconia rostrata), fuchsia (Fuchsia magellanica), lilkoi (Passiflora edulis), indigenous palapali ferns, banyan trees, and countless other exotic plants and trees which I am aching to learn more about. puma chaussure 2018 Before long, Caleb will know the names of the plants on the trails as I intend to make full use of Hawaii’s trails for botany lessons. Right now, Caleb happily announces that he’s found ferns and orchids. He’s also taken an interest in haleconia and you can see why: There’s a lovely pool lined with stonework and shaded by the rainforest, too. Timberland Pas Cher It’s difficult to imagine a better reward for getting up early on a Saturday morning and hauling a toddler someplace than taking a dip in those inviting waters. nike air max homme We didn’t get the chance this trip though. ugg classic Basse From the bridge, the road splits at an open grassy area which is ideal for a picnic. One could easily pull a cooler or push a stroller to this point and never see the falls without feeling cheated. sena case iphone x The gravel road becomes a trail to the right of the grassy area and begins a steady incline to the waterfalls. The views along this part of the trail are breathtaking. soldes puma chaussures Caleb found an overlook of Kaneohe Bay which took us all by surprise as it is easy to forget that the trail snakes up the hills and natural rainforest facing the windward side of Oahu. In Hawaii, getting “lost” in your surroundings is often the point and once you stand beneath those falls, it no longer matters where you are (geographically speaking). nike air max 1 All you need in that moment is the rush of cool mist on your skin, the thundering sound of the falls in your ears, and the cleansing mountain air filling your lungs. 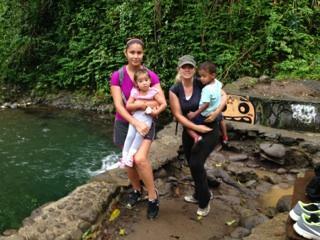 Random fact: all that lush gorgeousness on the way to Hamama Falls provided a backdrop for the television show Lost. acheter asics Hamama Falls cascades down the side of the Ko’olau Mountains and into the Waihee Valley. 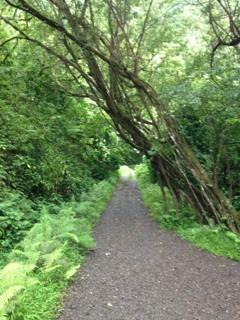 According to my Oahu trail book, the Waihee Valley is the last ahupua’a on Oahu. asics sneakers puma chaussure 2018 ultra slim iphone 6 power case Ahupua’a is a Hawaiian land division that stretches from the uplands to the sea. After the battle on Nu’uanu Pali in 1797, Kamehameha the Great gave the valley to his high priest and advisor, Hewahewa. In writing this post, I found a neat site which posted a newspaper clipping of Hewahewa’s obituary (click here). asics chaussures soldes iphone 8 case monogram It’s great to learn, my friends, because knowledge is power.